Josephine Teo, the Second Minister for Manpower and Home Affairs of Singapore, said that greater consolidation of the functions of casino regulatory authorities should be considered, especially at a time when the country’s gambling landscape has been quite complex. Today, Ms. Teo took part in the annual Workplan Seminar of the Casino Regulatory Authority seminar that was held at Biopolis in Buano Vista. She highlighted the fact that currently, different regulations and agencies are set to control the gambling products offered in the country, such as casinos, private clubs’ fruit machines as well as online gambling. The Second Minister for Manpower and Home Affairs also gave her assessment for the approach, saying that such partial strategy and measures would hardly be sustainable or suitable enough in order for the constantly increasing difficulties related to the existing gambling landscape. The seminar, at which Ms. Teo was present, was aimed at outlining the history of the agency and providing better perspective of the future challenges it is expected to face. It was held as an one-day event in conjunction with the 10th anniversary of the Casino Regulatory Authority. Increasing regional competition was pointed as one of the most serious challenges posed to Singapore casinos. Ms. Teo also predicted that competition for tourism revenues is to become even stronger, with a lot of jurisdictions keeping their eyes on the Singapore integrated resort (IR) concept. According to the Second Minister, the local integrated resorts would face some difficulties to stay ahead of competition. Singapore is currently home to two integrated casino resorts. The first one, Resorts World Sentosa, is run by Genting Singapore Plc, while the second one, Marina Bay Sands, is operated by a division of Las Vegas Sands Corp. 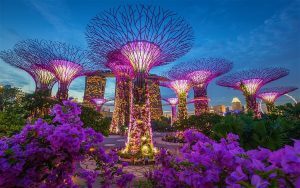 Integrated resorts, however, are not a special trademark of Singapore only, as other jurisdictions have been aimed at adding IRs to their gambling industries as well. Japan, for example, is slowly but surely approaching a regulated casino industry that is to feature casinos as part of larger hotel, gaming and entertainment complexes. Technological disruption, on the other hand, has been outlined as another major challenge to be faced by the gambling sector in Singapore. New game types, new payment methods as well as new gaming machines are constantly added, which basically means that local casino regulatory authorities need to review their methods and establish qualitative control to adequately face the latest developments of the industry. According to Ms. Teo, regulations could and need to evolve in order to allow a more coherent system to be set and to maintain the balance between efficient regulation and keeping the market open for innovations. 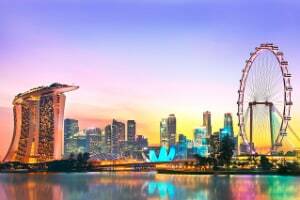 For some time now, the Ministry of Home Affairs of Singapore has been preparing for certain development, with the competent authorities being studying the wider gambling regulatory framework in the country. Ms. Teo urged the Casino Regulatory Authority to put more efforts into building up capabilities, stamina, new and more effective strategies and integrity in order to adapt to the new demands of the local market.